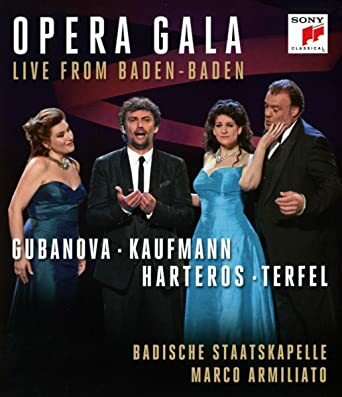 Topic: Jonas Kaufmann "A [Live] Italian Night"
Do you think it's the same material that was previously available on EMI box sets or is it something completely different? Thank you, everybody! At this point I decided to give Spotify a try - the first month is free anyway. I'll take a look at Tidal as well, but am always open to other suggestions. Thanks again! You've been a terrific bunch! Sorry, I meant something like Spotify. Is it preferable to, let's say, I-tunes? And is the choice really between these two and Youtube or is there something else out there that I am not aware of? Thanks a lot for your responses, Belle and John F! I concur that Antonacci's recital was one of the last season's highlights and would definitely try to attend her return to NY next January. Otherwise, nothing else in the NYCO lineup picks my interest. On a different forum somebody mentioned Marta Deyanova, especially her rendition of Schubert's Impromptus. I have never even heard OF her, let alone anything BY her. Does anybody know her recordings? Are they worth exploring? Thank you so much for your reply! I have same financial limitations and am also running out of space, thus my doubts. Topic: Mariss Jansons - opinions? recommendations? Re: Mariss Jansons - opinions? recommendations? Mariss Jansons - opinions? recommendations? A friend took this pic, just two minutes prior to the chandeliers going up, at last night's Semiramide with Meade, DeShong, Camarena, and Abdrazakov. Topic: Some unbelievable pricing? Sure is! Re: Some unbelievable pricing? Sure is! Topic: I have fallen in love with Martina Arroyo's Voice! Re: I have fallen in love with Martina Arroyo's Voice! Well, not as much as I would like to, obviously (is it ever enough? :)), but I'm happy overall, because it gave me a chance to get the new box set. Hopefully, I'll save some shelf space, too. I'll definitely go for it. I did have all the Philips CDs, but in anticipation of this release sold most of them on Ebay. Excellent news. Some of the best Callas' recordings were live: 'Lucia' with Karajan, the Lisbon Traviata, etc. I'm just getting into the music of Sergei Bortkiewicz and wonder if anybody might have any recommendations regarding particular recordings. If you have any favorites, please share.